In my last post, I wrote about transitioning my wardrobe for fall, even though the weather here is still hot. In this post, I'm breaking a fall fashion rule, which is to not wear white after Labor Day! Well, rules were meant to be broken! I bought these white embroidered pants from Anthropologie a few weeks ago on super clearance and wore them on Labor Day but I plan to wear them a little bit longer and maybe even get some use out of them during the fall/winter months by adding a sweater to the look. 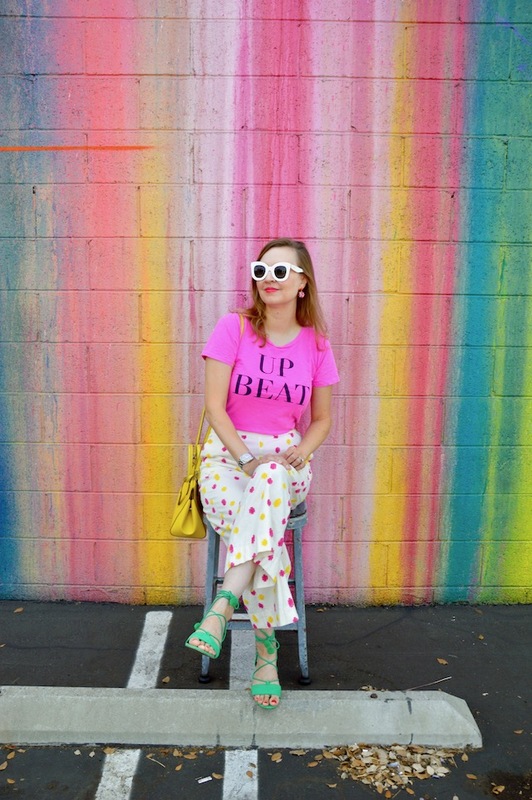 This time around, I wore the pants with my "Up Beat" tee from J. Crew. 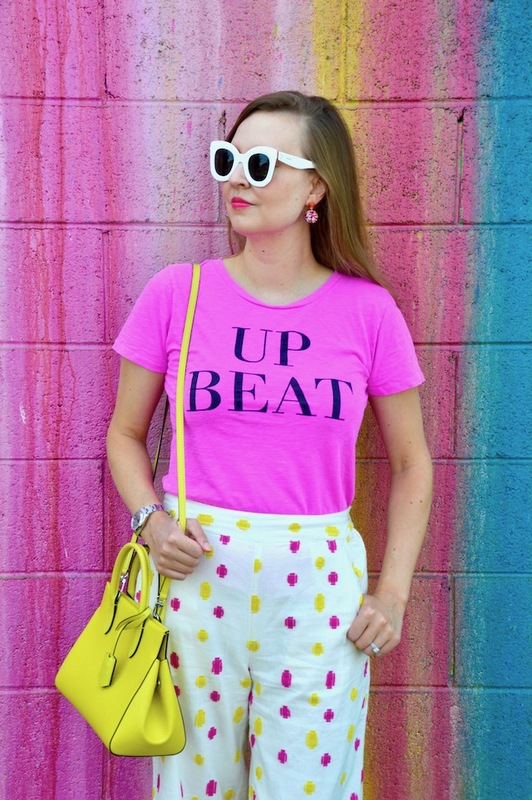 I love the message of this tee, especially now that I am back at school and sometimes need a daily reminder to be up beat and positive, no matter what life might throw my way! 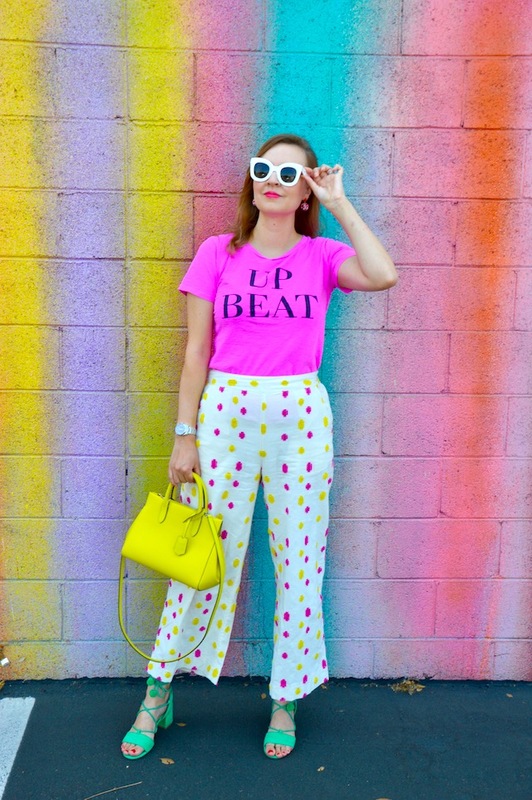 For a pop of color (not that this outfit or wall really needs any more! ), I added some green sandals to complete the look. Like I said, I might switch out some of these bright, summery accessories for more subtle ones so that I can rock these pants in the cooler months...whenever that will be! This is such a cute t shirt and I adore the pants Katie! 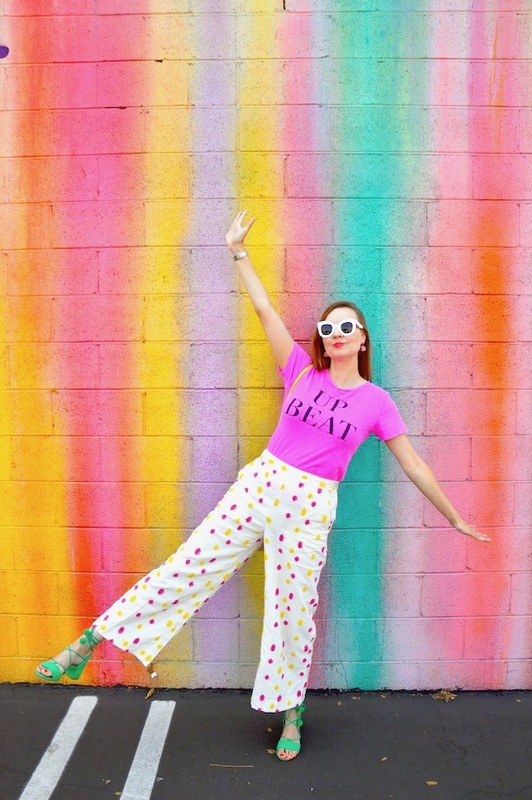 You totally can rock anything fun and bright! Those pants are so beautiful and colorful! Love those green crisscross sandals as well. 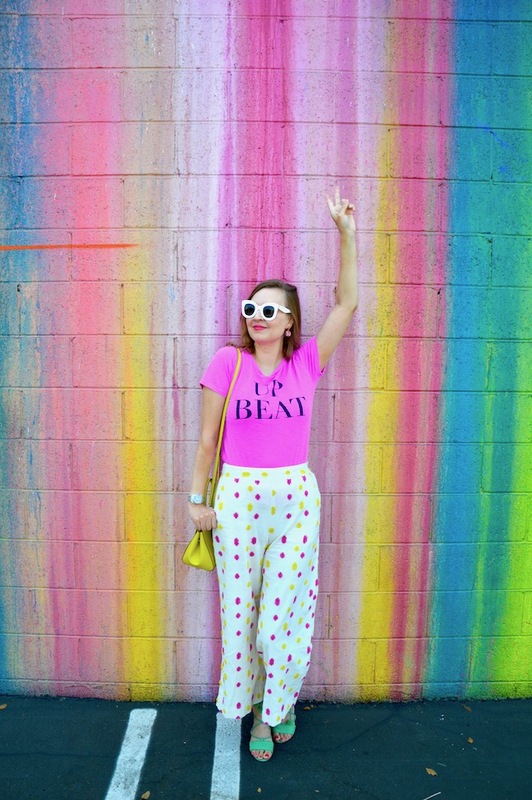 I love those fun pants and the bright T-shirt!